and 7News, which both ran stories on Little Man’s offer. 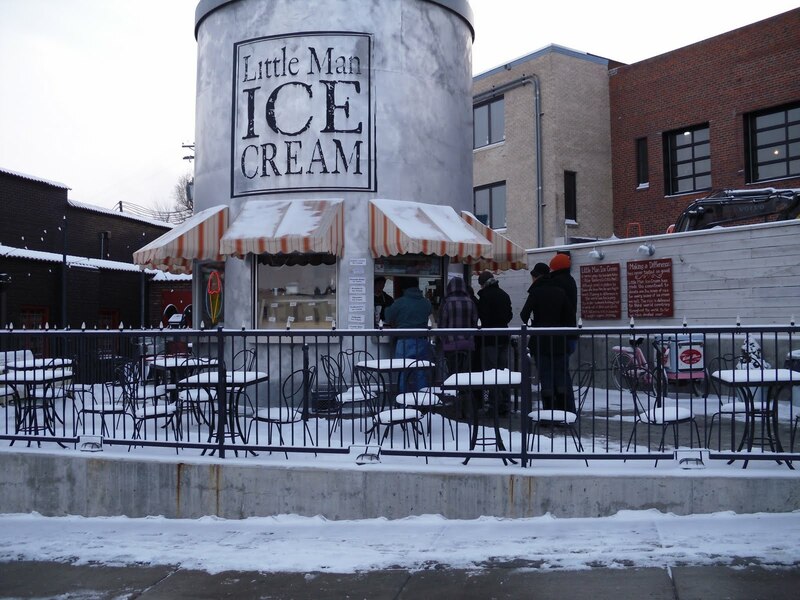 Believe it or not, the chilly deal was so popular that Little Man nearly ran out of ice cream and at one point, people lined up on the sidewalk on 16th Street for what Paul had dubbed the “pink-cheeked pints”! 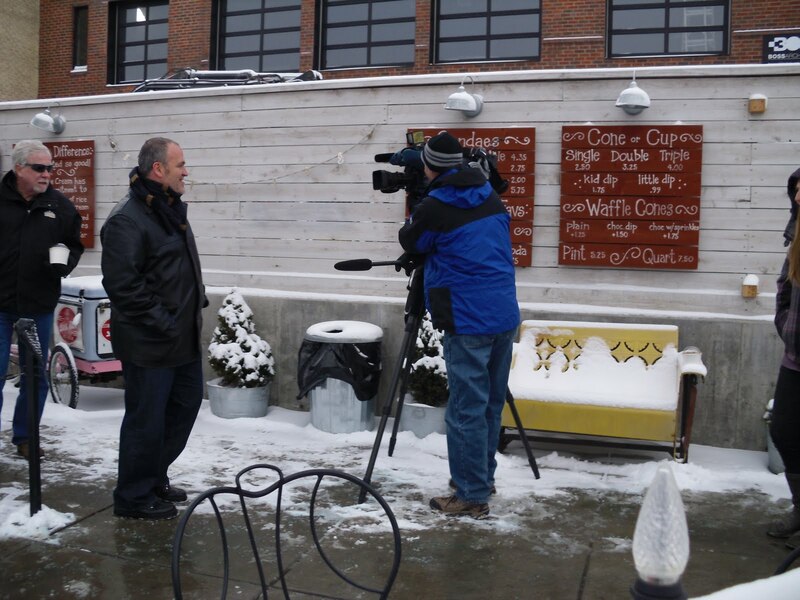 Check out the photos of Paul’s interviews with the stations and customers taking advantage of the offer. You can also view the 9News story here. We had a great time helping Paul publicize the deal. 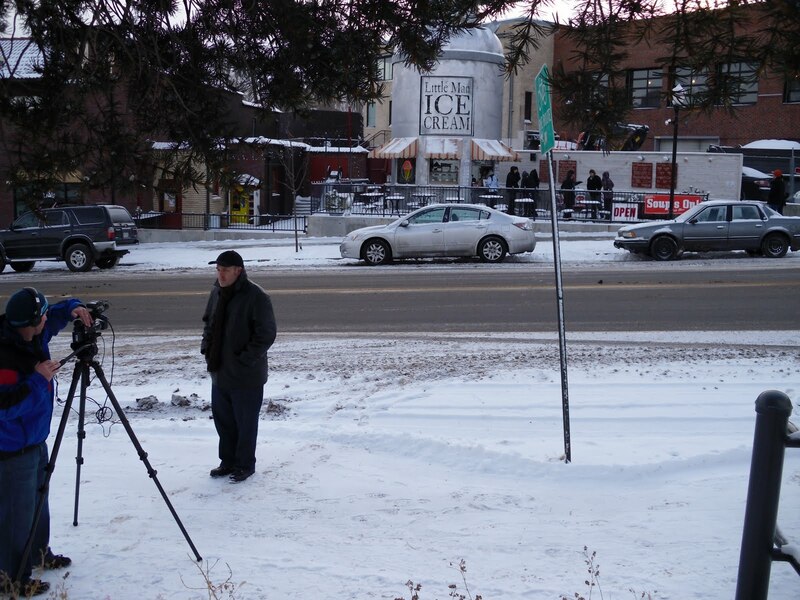 Thanks to the hearty camera operators for covering the story and the loyal customers who made the offer such a success. Remember, Little Man also has sandwiches, soups and hot drinks if you’re in the mood for something warm.